Is a self-portrait similar to a selfie? NO and these are their glaring differences. Selfies are more associated with smartphones and sharing or posting them in social media is necessary to complete the whole process. On the other hand, self-portraits require creative planning and “real cameras” (DSLR or point and shoot cameras) for more freedom and flexibility. Selfies are done everywhere : from closet mirrors to bathroom mirrors. A good source of light is essential to create striking self-portraits. YES, because both tackle the concept of SELF. One takes a picture or portrait of him/herself. The subject and the photographer become ONE. Both are platforms for self-expression. So without further ado, here is my first entry for 48 PHOTOS ( Photo A Week Challenge) , a blog project initiated by fellow mom bloggers Kim of Mom on Duty and Camille of Lollies and Lipsticks. My answer is both but this is still more of a selfie. I took my “selfie” while my son was having a much-needed haircut (after three months!). I was determined to squeeze in this selfie session in my toxic working mom schedule. Taking this shot with a DLSR does not completely make it as a self-portrait. I tried shooting in manual mode, adjusting the ISO and some stuff but still the photo lacked orchestration that self-portraits require. I hope to spend more time thinking and preparing for the next 47 photo themes. Wish me luck! Postscript: I really am not a selfie person. I remember taking a few selfies but whenever I put the phone in self-portrait mode, it was always me and Rio or the whole gang, family selfie! Nanays, what do you take, selfies, self-portraits or both? Happy clicking mommies! I like that the focus of the photo is at your camera. Mas may dating than the usual selfies. Makes you look more like a photographer mama talaga. hehe. And wow! I love love the blur background. 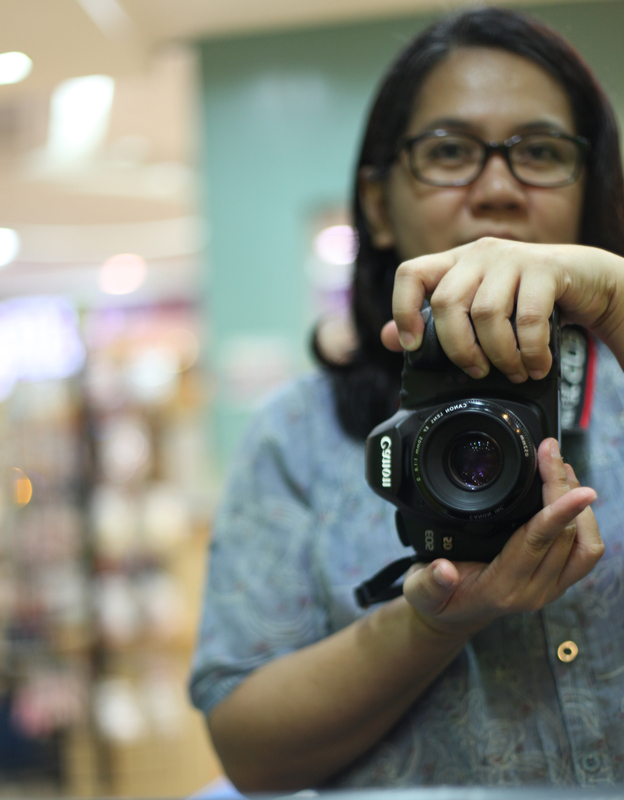 I'm praying for 50mm lens kaso I shall slice my wrist with the price. Hangmahal! Thanks Camille! Portraiture talaga ang type kong pag-aralan sa photography. I'm so happy hubby chose to keep this lens. Feeling photographer mama lang ako, hehe. I must admit I am not good in taking selfies too. I have to take it 30 times before I can find the right photo. Sometimes when do a family selfie it will always be a fail. Haha. 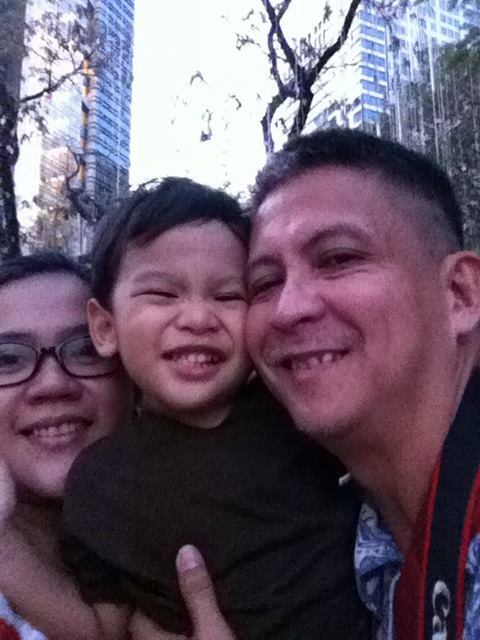 Nice self portrait you got depicts a photographer mommy talaga! Thanks Patty! Looking forward to see your next photos. Weekend pa lang nag-iisip na ko for the next theme. Prime lens FTW! Love the bokeh effect. :D Been planning to get a 50mm prime lens but never got around to it. Tiis na lang sa kit lens. :P Haha.